Bored of your stock music player? 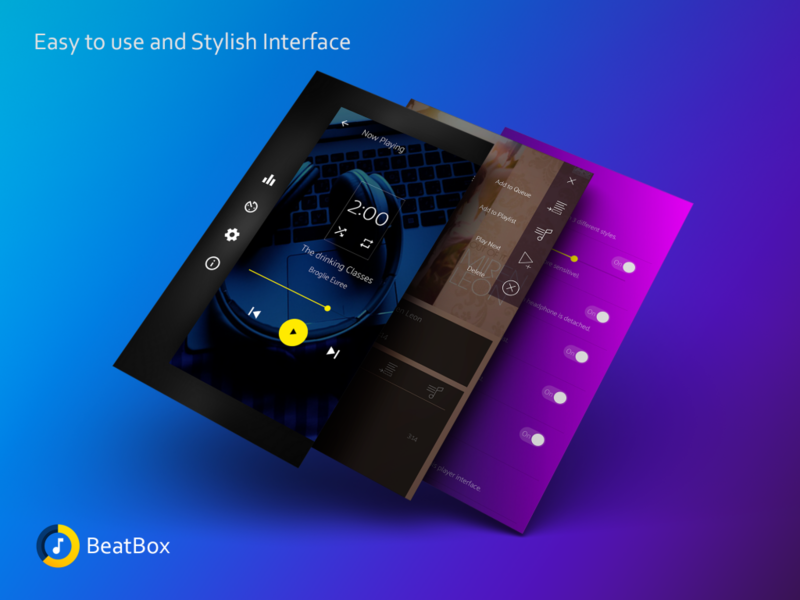 try this stylish Beatbox music player with stylish UI. 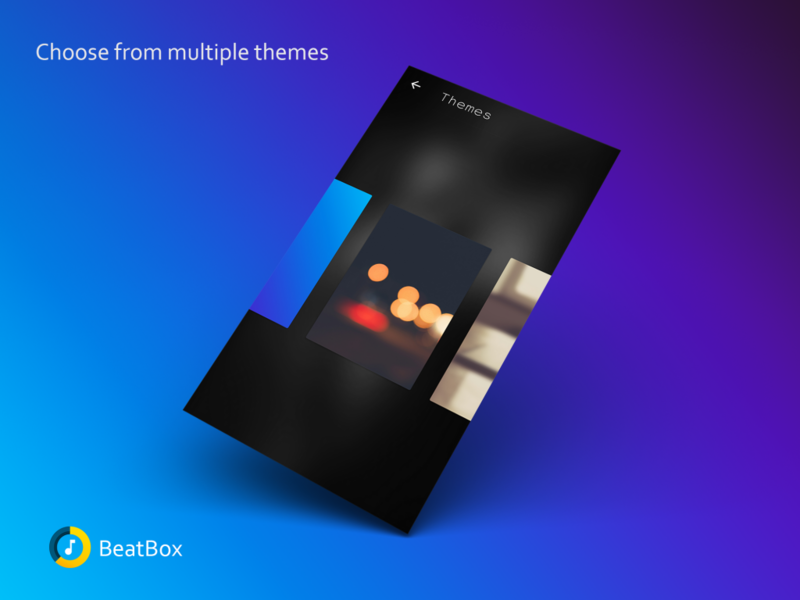 Add a new feel to your favorite audio songs with the beautiful and elegant interface. 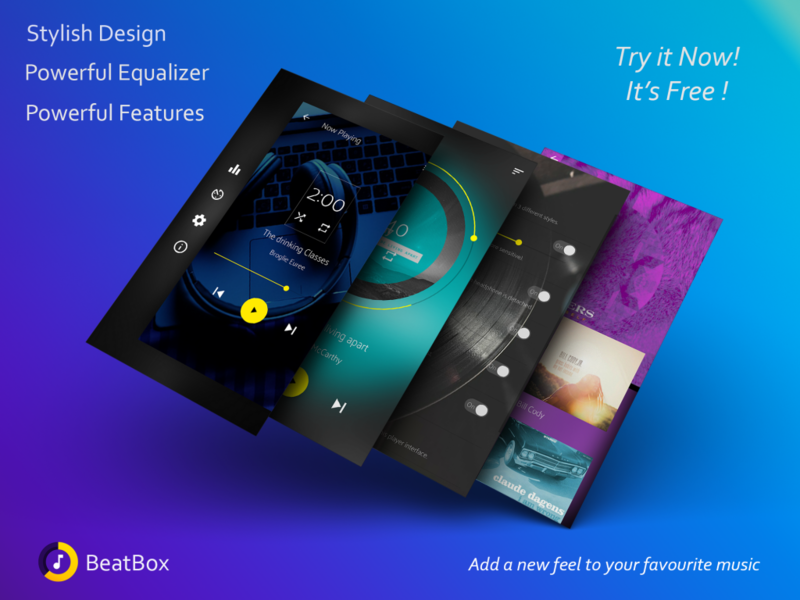 Beatbox audio player can play songs on your Android device with most supported formats. It is developed to create a better interface and feel. 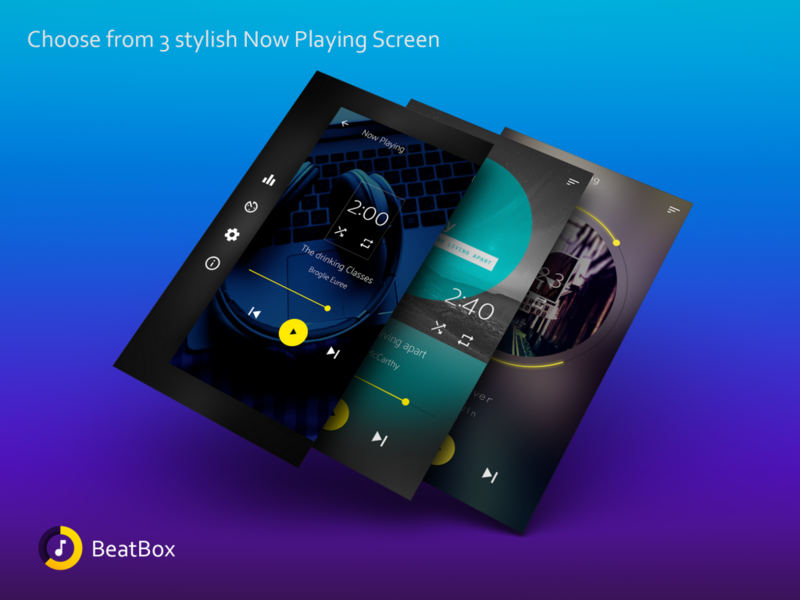 It is a simple yet stylish music player for Android. Stylish, Powerful and Fast with elegant design. 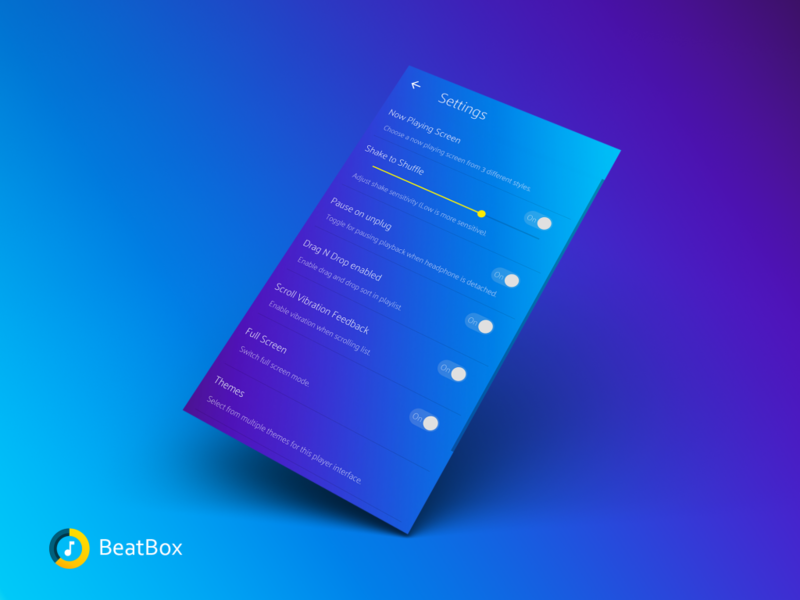 Beatbox lets you manage all your mp3 files or audio files quickly and easily. 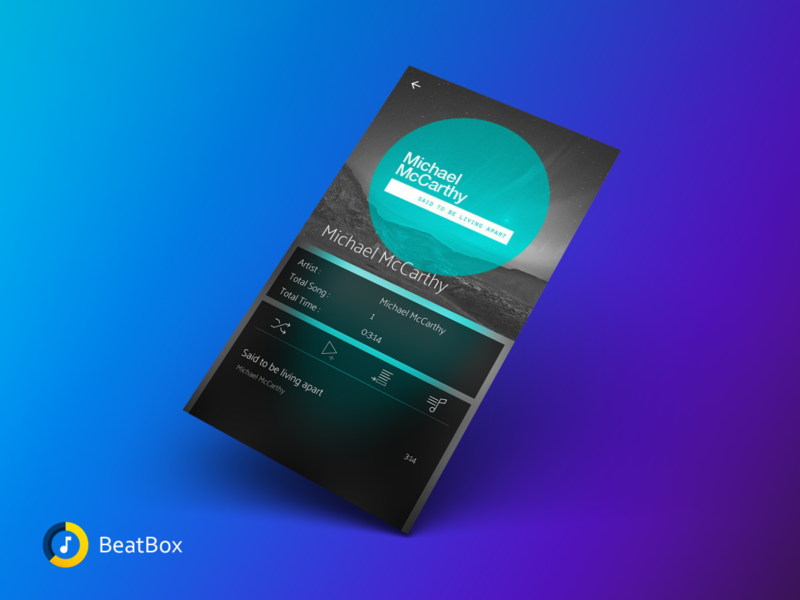 Easily create playlist and make a collection of your favourite song. one of the most downloading mp3 player in recent time. Support a powerful equalizer with 7 bands which enhance your audio songs experience with powerful bass. Beatbox Music player is a free music player for android with built in Equalizer and powerful bass. It’s easy to use and have stylish and unique interface. 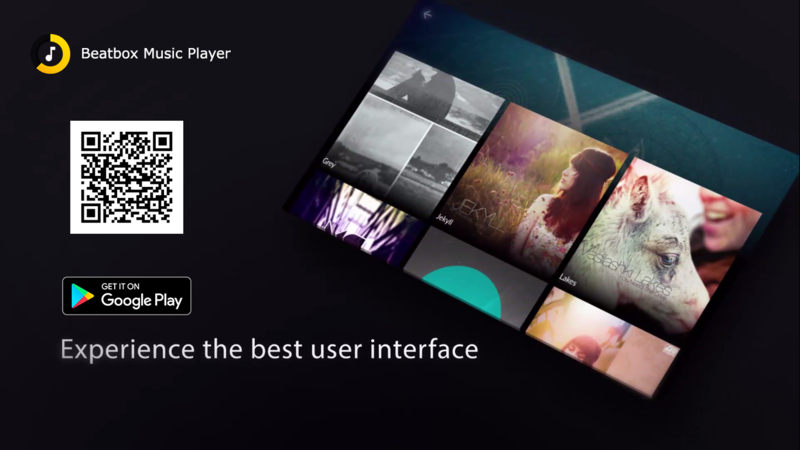 Experience the best UI music player. The more attractive and intuitive User Interface combined with the crisp and clean layouts will give you the best user experience. Select background skins to make your music player look more outstanding, and these also make your player get the next level experience. 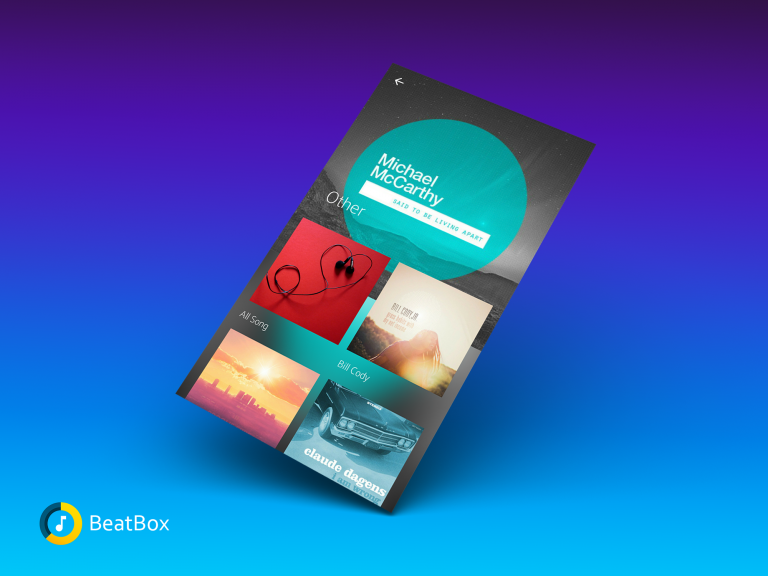 Beatbox is one of the top growing music app. Easily sort your favourite songs in playlist creating queues. 2 stylish Now playing screen. Built-in equalizer that makes your audio listening experience awesome and adds a great feel to your music experience with powerful bass. 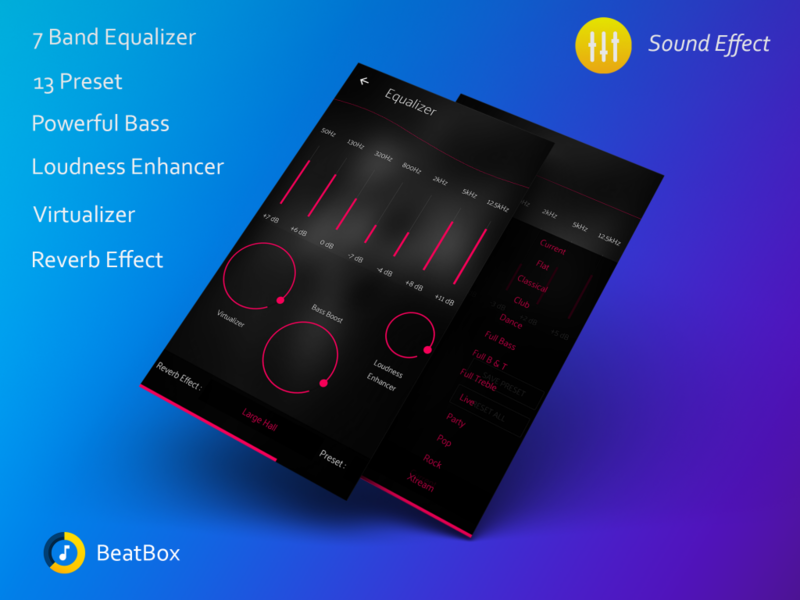 Built-in 7 Band Equalizer with Bass Boost, 3D Reverb Effects, Virtualizer and 10 presets. Enjoy your life with good music player and good elegant design.